Asahi Shuzo has announced “Kubota Junmai Daiginjo” as a full-year commodity from April 11 (Wednesday) across Japan. 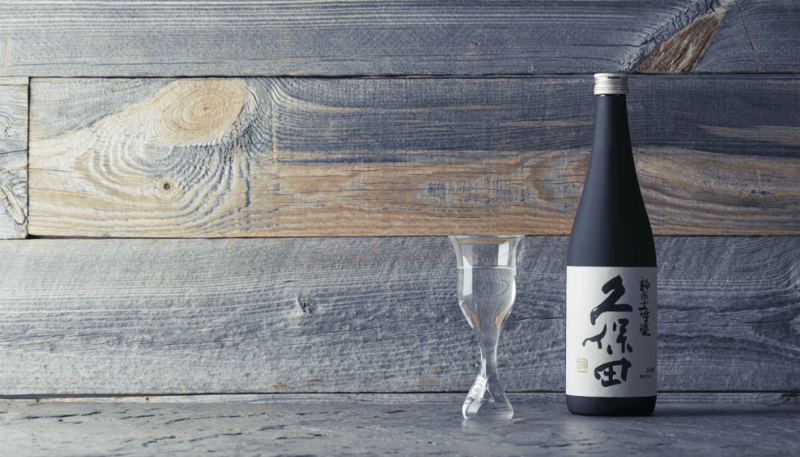 The Kubota Junrai Daiginjo was previously released only in June and October 2017. The release marks the first year-round product with Kubota’s since the release of “Kubota Kouju” in 1993 — 25 years ago! Kubota Junmai Daiginjo is based on the concept of “sake with a deliciousness recognizable from the first taste.” The aroma is said to be reminiscent of pears and melons and is recommended as an aperitif or paired with Western food or sweets. Nihonbashi restaurant “Suigian” is registered as a World Intangible Cultural Heritage as one of the oldest performing arts center in Japan. 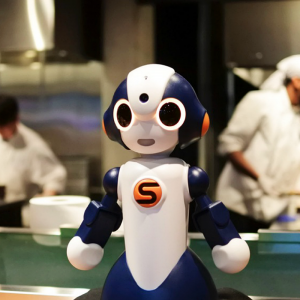 Doubling as a “Noh” Theater style restaurant and lounge, guests can enjoy Japanese food with “all five senses” while appreciating the traditional performing arts. Both the lunch and dinner menus feature Edo Sushi, Osaka sushi and Chubu style, giving patrons a chance to see the range of styles that Japanese sushi has to offer. The teatime menu features Tokyo’s Oimatsu, Kyoto’s Kamesuehiro and Kyoto’s Fukujuen provides the Japanese-style afternoon tea set. Both menus are served with vintage tableware and utensils of the Edo, Meiji, and Taisho eras. The alcohol menu is made up of pure domestic wine, sake, whiskeys, and more, selected by Actor Tatsuro Tatsumi, a well-known gourmet and wine expert. After 8:30pm the hall switches to salon style atmosphere dubbed “Momokawa Lounge” named for a phantom village, Momokawa, of the Edo period. Momokawa was said to be a salon in which people gathered, enjoyed intellectual conversation, and discussed traditional arts. Tea, pickles, and other specialty dishes are served in addition to local sake from all over Japan. 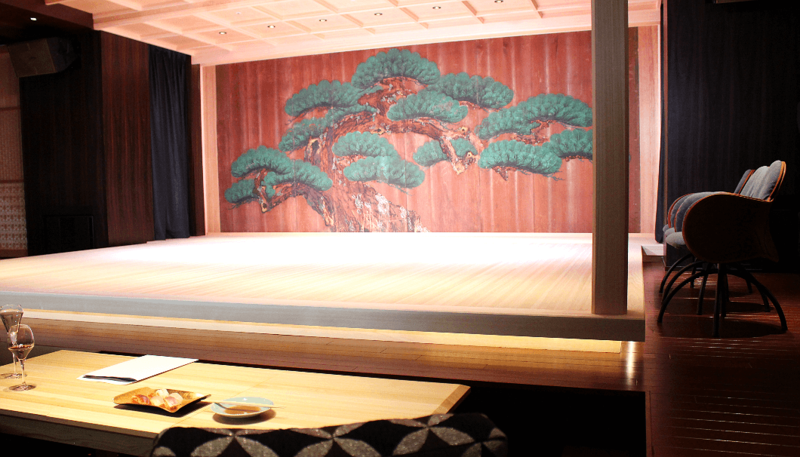 It’s a regal and deeply Japanese experience that no visitor to Tokyo should miss. Panasonic has developed an advanced Sake Cooler aimed at Japanese sake culture outside of Japan. 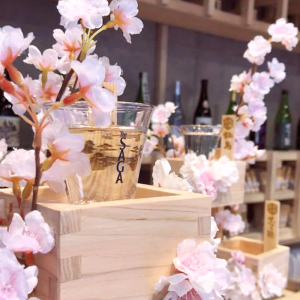 First exhibited in Texas at SXSW in March 2017, the Sake Cooler is more than a tabletop sake chiller, it’s a tool that connects brewers and people. 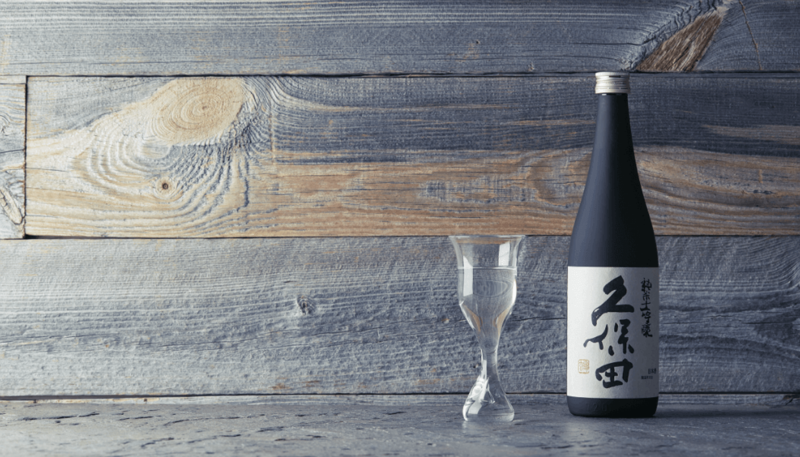 Inserting a sake bottle activates an internal camera which recognizes the label, displaying information about the brewer and cooling the sake to its ideal serving temperature. 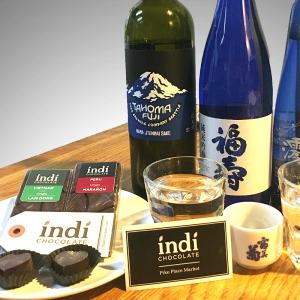 The digital display panel also recommends foods that pair well with that particular sake. The Sake Cooler is targeted at overseas restaurants, and will be put through a three-day experiment by chef Koji Hagihara at New York izakaya Roki in December 2017.